Join us in raising $15,000 by the end of 2016! HomeJoin us in raising $15,000 by the end of 2016! I hope this holiday season finds you well. My name is Irma Herrera and I have been a Board Director for Prospera for many years. Mainly, because I am passionate and support ownership opportunities for low-income Latina entrepreneurs. 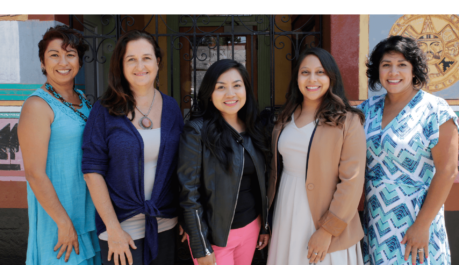 I need you to help us raise $15,000 to help the next generation of Latinas become small business owners. Prospera invests in low-income Latinas so they can build cooperative businesses that enable them and their families to thrive. We find groups of exceptional, entrepreneurial women, and provide them with in-depth training and resources so they can launch and grow businesses together. As a result, women become leaders, build bright futures for their families, and create successful cooperative businesses that contribute to vibrant local economies. As a Board Director, I am committed to helping raise $15,000 for Prospera’s programs. I am asking you to give $250, $200, $100 or whatever you can donate to help us reach our goal. No amount is too small! Please make a gift online here or send checks via mail to Prospera 1904 Franklin St., Suite 801 Oakland, CA 94612. Thank you for supporting the next generation of business entrepreneurs! P.S. You can also bookmark this AmazonSmile Link and support us during your holiday shopping! Make sure to select: Prospera Community Development. © Prospera 2019. Theme designed by CPOThemes.